There are many places to invest your money – but what are you really investing in? Is it something you can believe in? How will it impact eternity? 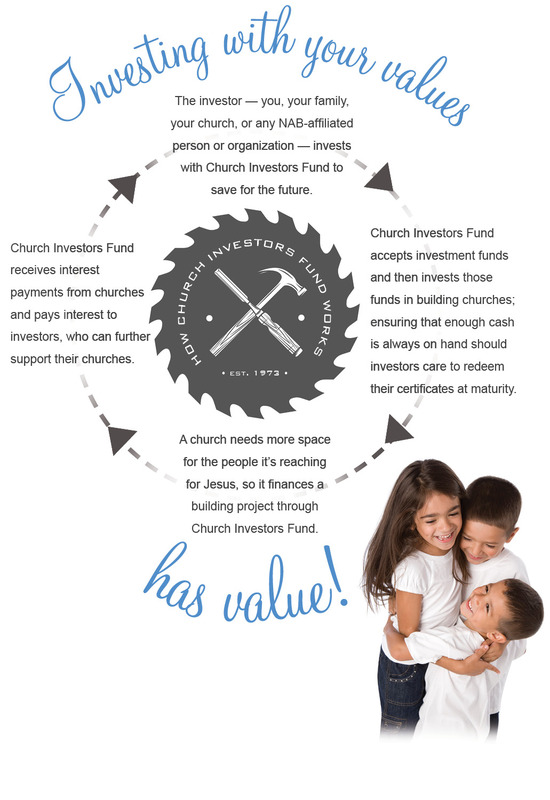 When you invest with Church Investors Fund, your money builds churches. It provides sanctuaries for growing congregations, classrooms for children to learn about Christ, gymnasiums for kids’ outreach. It spurs effective ministry and growth by providing the facilities churches need. For some churches, Church Investors Fund financing is their only option. For some people, those churches are their primary link to Christ.